In summary, what we’re doing is creating a Batch Processing Sequence, but we won’t actually be adding any commands to the sequence, we’ll just be configuring the output options. You’ll now be in the dialog where you can configure the sequence – and this is where things get slightly counter-intuitive. Rather than selecting any commands at the top of the dialog, ignore everything else and click the Output Options button. 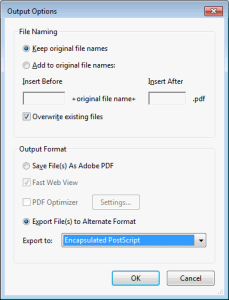 If you just want to save the files with the same filename, but with the appropriate extension for the new filetype then all you need to change is the bit at the very bottom of the dialog. 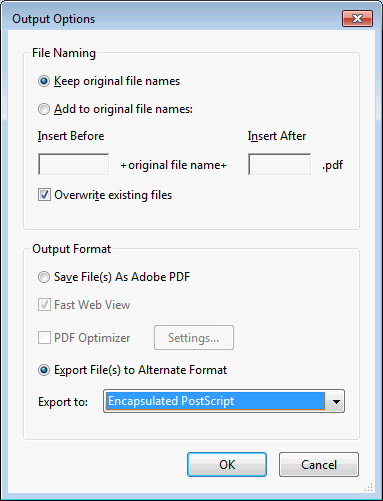 Simply select Export files to alternate format and then choose the format you want from the dropdown box. If you want to do anything fancy with the filename then have a look at the other options: they’re pretty self-explanatory. 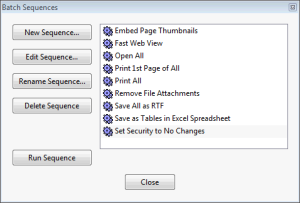 Click OK multiple times to get back to the dialog listing all of the sequences. 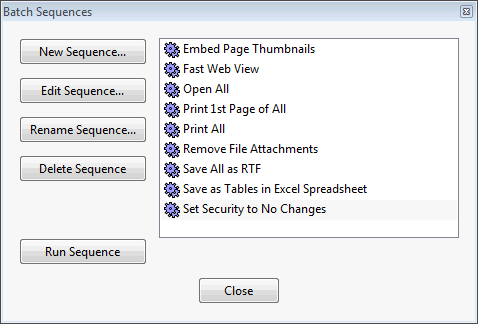 Select your new sequence in the list and click Run Sequence. 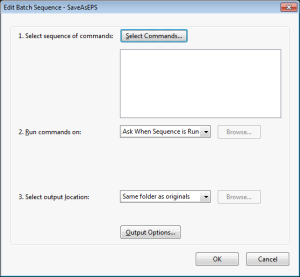 You’ll be asked to select the files you want to convert, and then confirm a summary of the sequence (it will be blank as there are no command steps, so just click OK) and then the conversion will be done. Easy, now you know how! Thank you, your suggestions are very useful when comes time to deal with an huge amount of historical data!